Okay, so I log onto my blog for the first time since my holiday, to find that a beauitul lady called Beccy Cartwright has pass on the Leibster Award to me. Beccy’ blog ‘I Spy through The Key Hole’ I an amazing blog if you are interested in fashion I guarantee you will love her blog. 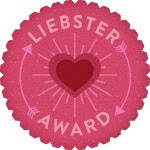 The Liebster Award is an award that is passed from blogger to blogger as a recognition of quality work.
. Each person must post 11 things about themselves.
. Answer the 11 questions the person giving the award has set for you.
. Choose 11 people to award and send them a link to your post. 2. I am obsessed with dreadlocks. 3. I have ten ear piercings. 4. I have a British bulldog called ‘Winston’. 5. I feel naked when I have no rings or bracelets on. 6. I love fashion, and I am studying fashion design, but do not have a favorite designer. 7. My favorite book is ‘The Backpacker’ by John Harris. 8. Someday I will travel the world. 9. I find, jewellery making, hand sewing and knitting very relaxing. 10. My favourite winter colour is dark red, my favoruite summer colour is orange. 11. I wish to someday be able to speak fluently in spanish. I don’t really have a favorite designer, as there are so many out there. It is hard to choose but any designer whose work is simplistic and modern I am likely to love. 2. Favourite life quote or moto you live by? I don’t have a party trick, I don’t like being centre of attention, so I try my best not to draw attention to my self. 4. Why did you set up a blog? 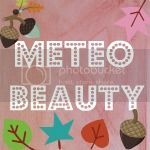 I originally wanted to start my blog to just share my love with fashion and crafts, but after some thought I felt it would be more appropriate to start up my blog to promote my very small business which I started in 2009 at the age of 17. I hope to opened my own small business where I will be selling my own hand made one of a kind products such as clothing, jewellery and other accessories. Green mole on my tongue, not everybody can see my tongue. 10. Your BEST style/make-up/both tip? 1. What is your favourite item in your wardrobe? 2. Are you tickle-ish? If so where? 3. What fashion trend this year do you love and which do you hate? 4. If you could travel the world, where would be the first place you visit? 5. If you could choose between money or happiness what would it be? 6. If you could have chosen your own name, what name would you have chosen? 7. What is your favorite animal? 9. If you won £1million would stay/become jobless or would you go to work? 10. What is your favaourite nail varnish colour? 11. Do you think you could go a month without modern day technology?